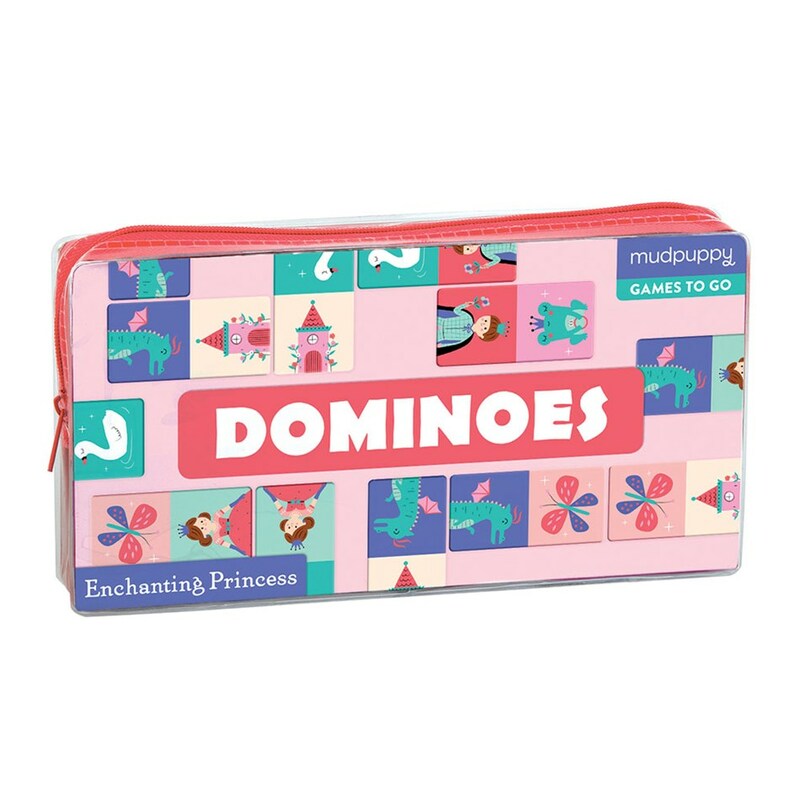 Mudpuppy's Enchanting Princess Dominoes set includes 28 double-sided pieces with princess-themed art on one side and classic domino dots on the other- two fun ways to play! Packaged in a zippered-pouch for easy travel. 28 Sturdy Cardboard Dominoes. Packaged in a travel-friendly Zippered Pouch. Instructions Included. 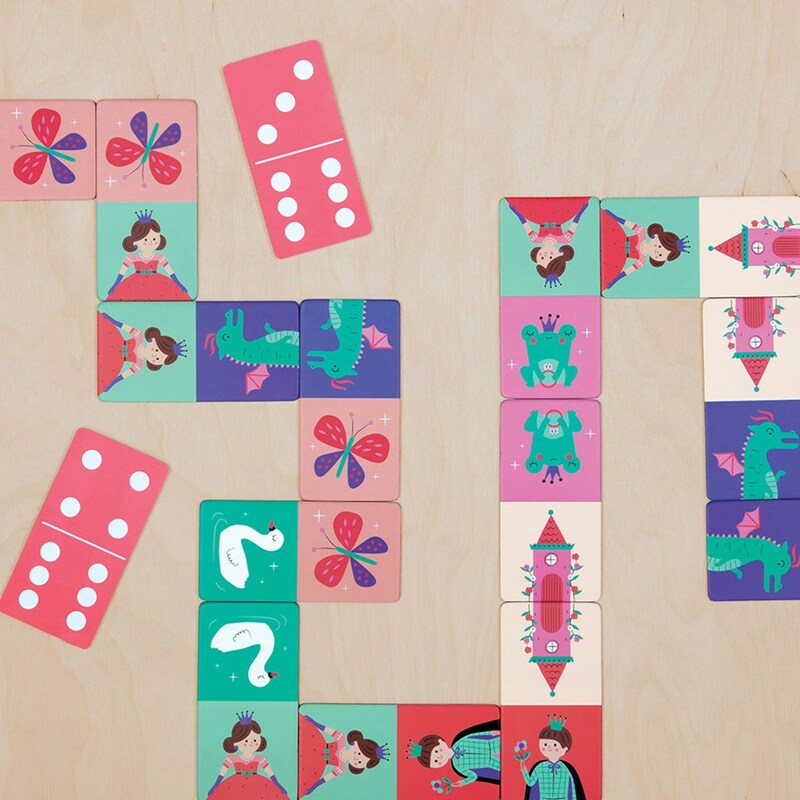 Dominoes: 1.75 x 3.5".